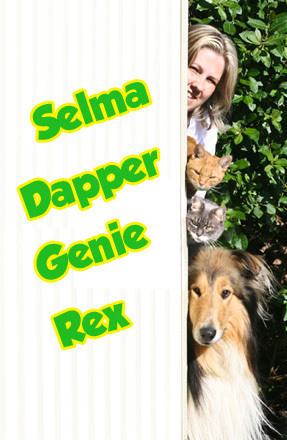 The cats Genie and Dapper are now 16 years old and have lived with Selma and her family since they were just kittens. Over the years they have become an inspiration for the countless adventures and pranks which are described in the books. Eight years ago Rex the dog became a welcome addition to the family and now romps through the pages of the books, taking part in all the fun, games and tricks. Selma Mariudottir is the author of the Perky Pranksters series. She is an electronics technician by profession and has also studied computer programming and systems theory. She now works as web developer in her own company which she runs with her husband. Besides composing material for children, Selma has turned her hand to the composition of texts and music/songs all of which have been well received. She is a member of The Writers´ Union of Iceland and STEF (The Performing Right Society of Iceland). The Perky Pranksters project has been awarded grants from recognised sources, e.g. The Ministry of Education, Science and Culture’s Fund for the Development of Educational Material. 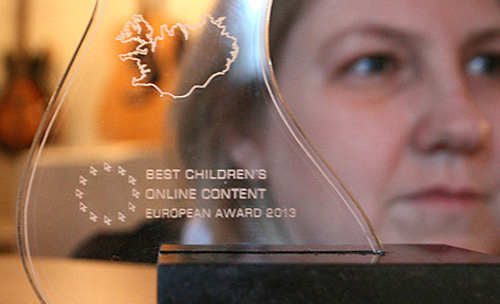 The Perky Pranksters project was nominated for The European Award for Best Content for Kids and has been awarded as a national winner.